I would like to see more advocacy for evidence-based thinking. This whole central theme I have been discussing here about better ideas and improving technologies saving lives and improving the human condition, hinges on a willingness to discard old ideas and replace them with new and better approaches. The scientific method is the embodiment of that idea. Alvin Toffler once said that the illiterate of this century will not be those who can’t read and write, but those who can not learn, unlearn and relearn. In an accelerating information age of exponential change this just seems so obvious to me. The steps in the scientific method should be proudly displayed in every classroom. Every student in this country should be able to describe it, and should be taught its application as the best method to understand the world, and make it better. As part of my series on “Bleeding edge” technological breakthroughs that seem copied from science fiction, I had the pleasure of interviewing Richard Boyd, CEO and co-founder of Tanjo and serial entrepreneur. Richard is a serial entrepreneur, tech consultant, celebrated author and sought-after speaker on virtual worlds, computer gaming, machine learning and human/ computer interfaces. 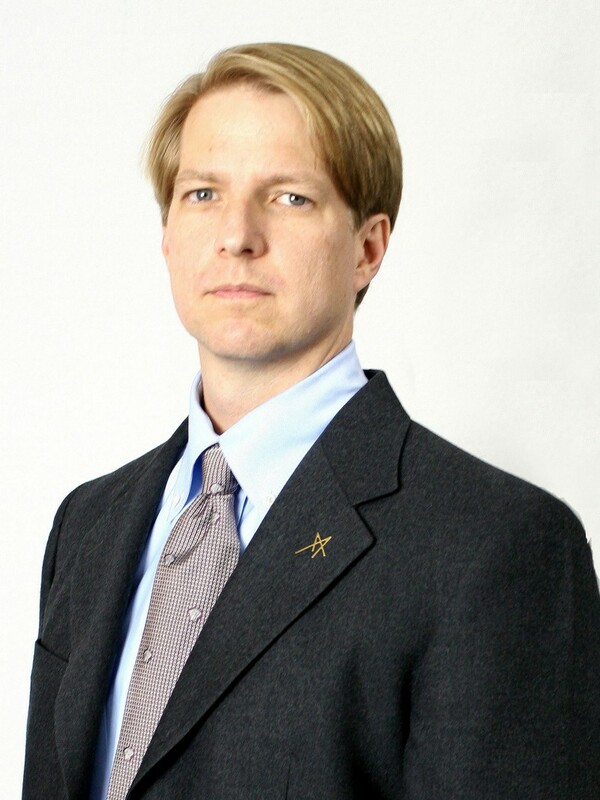 The co-founder and CEO of artificial intelligence and machine learning company Tanjo Inc., and the co-founder and CEO of Ultisim Inc., a simulation learning company that utilizes gaming technology and AI, Richard and his team work with a wide variety of industries including energy, healthcare, defense, education and motion pictures. From the first moment I encountered computing, I have been interested in how we can use technology to solve our most existential problems. I had a professor in college (UNC Chapel Hill) who told me that most of the problems humanity faces are simply the result of bad ideas. This led me to think that with better ideas, aided by better technologies, we could solve those problems, potentially forever changing the course of human history. My career began when I met David Smith here in North Carolina. He had created the world’s first 3D graphical adventure game, called “The Colony”. When we met he was using it to help Director James Cameron solve some visualization problems on the set of the movie “The Abyss”, being filmed down in South Carolina in a big nuclear reactor cooling tank. David built the entire set in 3D on his black and white Macintosh Classic. Using special tools for focal length and aspect ratio he was able to walk through all of the shots with Cameron, and determined that about a third of the set never showed up on screen. Cameron saved a lot of money not having to build those underwater set pieces. He really spread the word in Hollywood fast and I found my self running out to LA to teach this new tool we made called Virtus WalkThrough at the American Film Institute and was invited to work on movies with Directors like Peter Weir (Fearless) and Bryan de Palma (Mission Impossible). I became addicted to the rush that comes from bringing advanced (or advancing) technology to bear on something that people are struggling with and successfully solving that problem for them. It is especially rewarding when those people are already successful standalone humans, but who have not yet harnessed technologies that could really amplify their talents. Having Bryan de Palma say that what we were doing was a “godsend to the film industry” sent me on an endorphin high for days. My first startup, Virtus Corporation, described above, was started before the graphical Internet was born. I have had some great adventures with some very smart colleagues and partners over those years. We created computer games and game companies with authors Tom Clancy (Red Storm Entertainment), Michael Crichton (Timeline) and Douglas Adams (Starship Titanic). 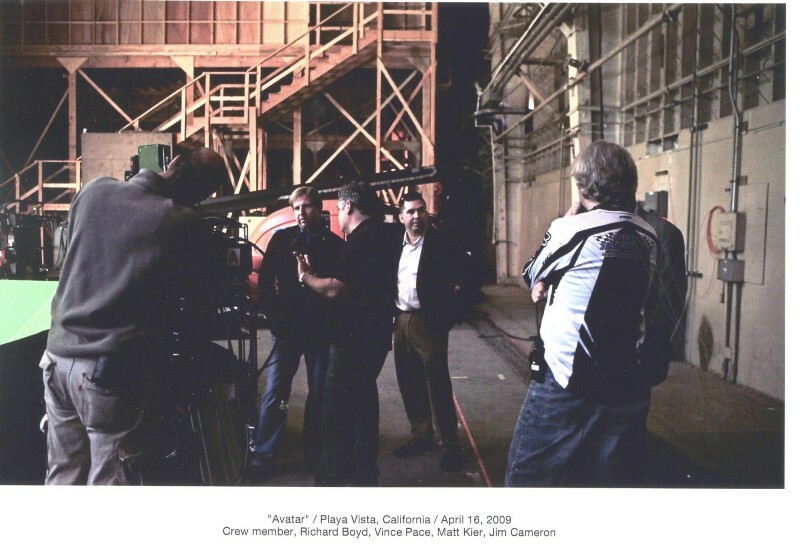 We worked on movie sets and military and aerospace projects. We even worked with Ozzy Osbourne. But the moments that stand out most to me are those times spent with incredibly smart innovators and deep thinkers just talking about this central issue of what is to become of humanity, and what can we do with our growing technological prowess to cure disease, travel to the stars, populate distant planets and big far reaching audacious goals like that. When you asked this question the first thing that popped into my mind was not being on set for Mission Impossible or on the set of Avatar or any of the glitzy Hollywood stuff, but sitting and having a quiet but electrifying lunch with Alan Kay and Fred Brooks. Lockheed Martin had just acquired my startup 3Dsolve, where I was the CEO. We were together at a big simulation conference in Orlando. Alan Kay, of course, is the multi-award-winning technologist who was the director of the Xerox Parc lab where the first laptop computer, the mouse, the windows interface and object-oriented programming were invented. Any time I am with Alan I want to have a multidimensional recording device to record everything he says, because just about everything he says is dripping with history, meaning and importance for the future. Fred Brooks is also a titan of computing history, having led the huge IBM mainframe 360 team where he was the person who decided there would be 8 bits in a byte. He also wrote the bible for software project management “The Mythical Man Month”. He served on the board of directors of Virtus while David and I were there, and his guidance and wisdom were critical to the trajectory of my professional life. We spent a long lunch talking about technology and its successes as well as its misadventures. We all bemoaned the fact that in the last decade, instead of bringing these amazing technologies to bear on huge problems, we instead created billionaires out of social media plays that seem now, in retrospect, to not be solving our problems, but exacerbating them. As I watch this second decade of the century continue to unfold I find myself revisiting that conversation again and again for the lessons deeply embedded in the exchange. I discovered machine learning in 2009 while I was running Virtual World Labs at Lockheed Martin. Machine learning already existed, of course, but that was the year I fully understood how far it had come, and how it was fundamentally different from the “Artificial intelligence” we had been using in computer games and DOD simulations before then. I now think of AI as advancing in 3 stages. In the first stage, that lasted from around 1958 until 2009 (my arbitrary marker) we wouldn’t ask a computer to compute something until humans understood it completely and could break it down into brittle little logic gates and if/then statements. We would then feed that into the computers as finite state machines or hierarchical behavior trees and run the programs. In the end, it was all just code. Nothing mystical about it. At Tanjo we are using machine learning in short burst projects to give banks and institutions of higher education and fortune 2000 companies the intelligence amplification and automation that is transforming how they work. We routinely see returns on investment of 10x from our implementations. And that return is usually an annuity. How many technology investments have we seen before this that create those kinds of productivity gains? We have had validated ROI measurements of as much as 600x; and one embarrassing result of 1600x. We don’t even use the last one as a case study because it feels too hyperbolic. But our big breakthrough came when we realized that these amazing, weird machine intelligence systems we were building looked at people the same way that they looked at information objects. We ran an early experiment with a set of training data from a popular dating app. Our little mini machine learning brain created interest graphs and sentiment maps of each person from their data exhaust that emerged looking something like a Myers Briggs profile. We thought briefly about making a machine learning dating app in 2014. It was a very brief consideration, because it didn’t meet the lofty goals we had for doing meaningful work I described above. Instead, we called it the “Empathy Engine” and built what we called “Tanjo Animated Personas” from these machine learning patterns of human behavior. When the graphical Internet was first born in 1993 a group of deep thinkers like Doc Searls and David Weinberger published The Cluetrain Manifesto http://www.cluetrain.com/ When I read it I thought to myself This is it! Finally we have a means to create and implement better ideas and solve major problems. This central idea that the broadcast TV era was over and would yield to a world where individuals are empowered and “markets are conversations” was really electrifying. With our discovery that machine learning could model humans to help us better understand people’s values we realized what we had was “an empathy engine”. Considering how much data exhaust from people is really out there (OMG) we realized we could harness that to gain empathy. The next step is to figure out a business model where individuals will pay for the ability to control that exhaust and make it available to companies and government on their terms in order to communicate their interests, desires and values, without having to be subjected to focus groups and surveys and an endless onslaught of commercial ads. In Doc Searls’ book “The Intention economy” and his lectures by the same name, he describes a world where individuals put out RFPs mediated by bots (in our model they would be adaptive machine learning systems) that would engage with commerce and government when the individual is in a buying mode or wished to convey suggestions, values or complaints about government. In this world companies only make products people want, instead of making products and trying to convince us to buy them. In this world government doesn’t have to guess what their constituents want from them, they can poll the synthetic bot representations of those interests and know without having to do antiquated, misleading and inaccurate polls and focus groups. I have been invited to come and speak in South America over the last six months to discuss the idea of modeling our ancestors from data, and resurrecting them in a form that lets us interact with them today. In an Ad Age article a few months ago https://adage.com/article/news/ai-models-real-consumers-reveal-research-answers/314137/ I told the story about my Father dying in 2017, and how I could not resist bringing my tech to bear on keeping a shadow of him around to keep me company. My Dad had very little data exhaust. He was not on Facebook or LinkedIn. I had to resign myself to just scanning in his military records, correspondence and other artifacts. I then hand coded his interest graph and sentiment model from there from what I knew of him. In that sense he is really just a machine model of who I thought he was. To this day I still visit him occasionally and see what is attracting his attention from current events. I can write to him and he will tell me what he thinks of what I write. Eventually I expect to be able to have a full natural language conversation with him. Does this mean that I will have trouble ever letting him go completely? Will it hinder me in some way? If the people I spoke to in Buenos Aires and Medellin decide to have a full panel of their ancestors advising them and judging them for every decision they make; can that have consequences? It is hard to say. Every technology can be a double-edged sword and we must be careful in how we wield it. Alan Kay is fond of saying “Perspective is worth 80 IQ points” Many of the technologies we are using to create Tanjo Animated Personas have been around for a while. We used some of them to build game characters to make them more convincing. When we were at Lockheed Martin we built large constructive simulations of entire populations using agent- based models. To us it was strange that people in market research were still doing surveys and focus groups to build five to ten segmentation models of everyone in a country or on the planet. Our unique history in gaming and building simulations for the DOD helped us see what now appears obvious. Whether you are a consumer goods company or a government, you can’t get to truth just by sample polling. You should have a full synthetic population of your customers or constituents, fueled by what they do, not what they say, and use that to test your future ideas without bothering actual people with robocalls and mail in or e-surveys. The fact that our animated personas are far cheaper, more reliable and more representative than focus groups and surveys should ensure widespread adoption, but we still run into the market research people at the end of their careers who know only their bag of tricks and are digging in their heels to resist this retrospectively obvious leap. I think the big breakthrough will be when we settle on a business model and cross the chasm to widespread approval of the need for everyone to manage their own data in these market conversations. Our first thought was to create examples from rich open data stores that would allow people to see the appeal and value of being able to see through someone else’s eyes. We had our system read everything written by Victor Hugo and everything written about him to “resurrect” Victor Hugo. We did Leonardo Da Vinci, Albert Einstein, Harriet Tubman. I think we have over 100 of these animated personas from history living on our servers devouring the web each day and rendering their opinions from their perspectives. We are encouraging educators to build curricula around these to increase empathy with history and culture. My list of heroes is long. I am drawn to, and attempt to collect, people who are smarter than me and who have varying perspectives that augment my own. People who have a first principles approach to problems and who are driven to help others are of particular interest to me. Whenever possible I try to capture what I learn from all of them and embed it in a blog I started for my son when he was born. www.deardylan.com As I write this he is six years old now. In those many many posts you will see advice distilled from James Cameron, Alan Kay, Fred Brooks, Atari founder Nolan Bushnell, science fiction writer Douglas Adams, Douglas Engelbardt, Seymour Pappert, MIT media lab director Joichi Ito, and LinkedIn founder Reid Hoffman. Now that I mention it I should say that Joichi Ito and Reid Hoffman met after they invested in my company 3dsolve (acquired by Lockheed Martin). They were both on my advisory board and probably had as much influence on my thinking as Alan Kay and Fred Brooks have, They continue to collaborate with each other today on projects that have deep meaning for human progress. But my deep and abiding passion is for education. At the turn of the century I arrived at the conclusion that, in an accelerating information age, getting education right was going to be critical. So I began volunteering for service on boards. I was on the North Carolina Virtual Public Schools advisory board, I am on my second term as a Governor-appointed board of trustee member of Wake Technical Community college and served for over four years on the board of the Muse School — a clean sheet of paper, first principles designed school by Director James Cameron and his wife Suzy. Again and again I have learned the lesson that culture matters and people matter. In college I read economic papers by Ronald Coase. He came up with this idea in the 1930s called the “Coase cost”. Essentially it means humans are not bees or ants and you have to account for the fact that large goals require leaders to provide frequent creative communication that includes the why as well as the how. The larger the organization, the more difficult and expensive this cost becomes. Understanding the people in your organization, and your customers and what they really want is critical to designing an aligned effort to accomplish anything. Throughout my career I have followed a circuitous non-traditional route from my liberal arts education to my position today applying advanced technologies to problems. Growing up I received a lot of advice about precisely how things should be done. I rejected most of it and followed my own path, driven by what I was interested in and passionate about. I like the color of the sky in my world, because I painted it myself. Commitment from conviction, not compliance by compulsion. In every startup where I held a leadership position I wanted to be part of every hiring decision. Because I recognized the trait in myself that I only excelled in pursuits aligned with my passion and excitement, I assumed everyone else needed the same alignment. Even as CEO I would insist on demoing our product to every potential hire, even the receptionist. I wanted to see their eyes light up with interest and excitement about what we were trying to do. If I didn’t see that I would counsel that applicant that they needed to find what they care about. I really hope that people getting a job for the sake of needing work will soon be over. I have actually boiled this idea down to a central concept of leadership and management. I always seek to design for “Commitment from conviction” as opposed to “compliance by compulsion”. My five and a half years at aerospace giant Lockheed Martin gave me a taste of the “compliance by compulsion” model. I found it unappealing. 4. Develop and maintain a creative skill that will serve as an outlet for that hunger in everyone to create. I have been very fortunate to have spent my career in a field where creativity has always been an important element. Particularly in computer gaming and virtual reality. The first time I opened a blank 3d cubic mile design space on a screen in Virtus WalkThrough in 1990 and started building my own world I was hooked. But even computer game and virtual world designers need a break. I think everyone should have an artistic outlet that requires making something. When I mentor employees or students I encourage them to find and develop a creative outlet outside of work. I have this image of Philip Seymour Hoffman saying this in the movie “Charlie Wilson’s War” The line has always captivated me. Mihalyi Csikszentmihalyi wrote about the science of “flow”. Jane McGonigal talks about this as “Intense optimistic engagement”. Maybe because much of my career has involved technologies around computer gaming, the idea of play at work has always been an integral idea. When people enjoy what they do, and with whom they do it, the results are always better. In addition to the Doc Searls/ David Weinberger ideas around the ClueTrain Manifesto and maintaining an open and neutral Internet, I would like to see more advocacy for evidence-based thinking. This whole central theme I have been discussing here about better ideas and improving technologies saving lives and improving the human condition, hinges on a willingness to discard old ideas and replace them with new and better approaches. The scientific method is the embodiment of that idea. Alvin Toffler once said that the illiterate of this century will not be those who can’t read and write, but those who can not learn, unlearn and relearn. In an accelerating information age of exponential change this just seems so obvious to me. The steps in the scientific method should be proudly displayed in every classroom. Every student in this country should be able to describe it, and should be taught its application as the best method to understand the world, and make it better. When I was young my dad retired from the air force and we moved to a very small town in North Carolina. Almost all of the way through high school I remember meeting with counselors and advisors to weigh the very limited multiple choice answers to the questions about my future. I have a notebook journal to this day that outlines my choices between the short list of occupations I thought were my only options: Lawyer, Doctor, Teacher, Banker, Military service, My Dad was pushing hard for me to go to the Air Force Academy (in retrospect, had he not pushed so hard, I should have gone. At that time there was double digit unemployment, interest rates and inflation.) What I didn’t understand then, and know now, is that life is not multiple choice, it is massively multiple choice and multi-dimensional. I believe strongly in seeking advice from mentors like those I have listed above, but in the end, I have always chosen my own circuitous path that suits me and my family and solves for the most meaning and fulfillment. Whenever I have the opportunity to mentor younger people I advise them that their paths are multi-variate, and they should even consider not only following alternative paths, but forging new ones. When I raise money for one of my ventures I approach it like marriage. It is not to be entered into lightly and the values and mission goals must be aligned. 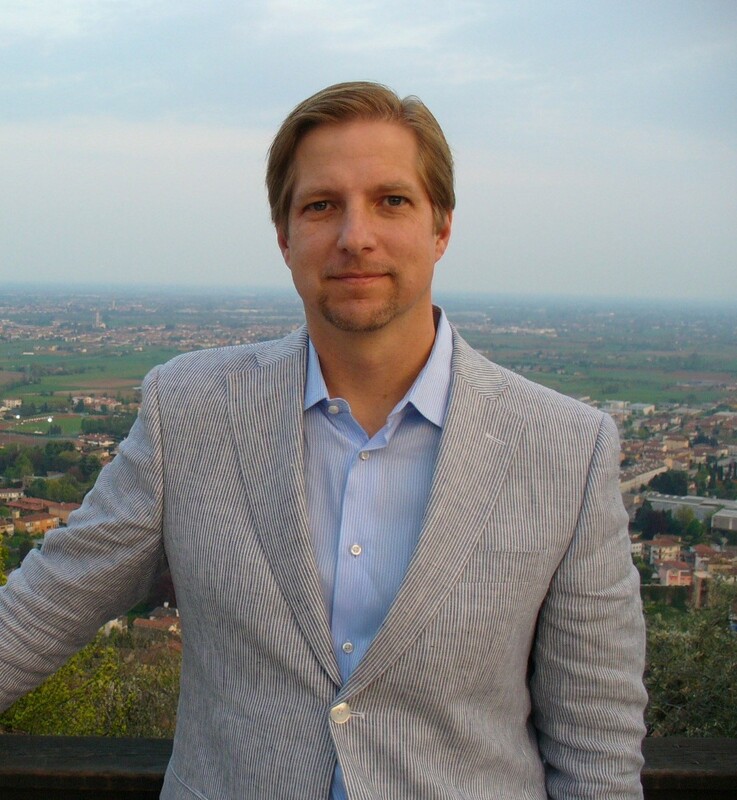 If you are an investor aligned with the mission and technologies and philosophies I have laid bare in this interview, I am very interested in talking with you. (I imagine you are rare in your field) We are good stewards of your money and are focused on returns, but aligned vision and the ability to connect our strengths with other aligned strengths are the virtues we seek most in a partner.